Pyeongtaek became Sister city with Mobile in 1989. This sister city relationship was established to bring “excellent cultural learning experiences”. The press release found on Mobile’s official website proudly declares that both cities have “bustling international ports” and are “homes to major economic hubs with various industries”, and that they both “offer many cultural activities”. However, while this relationship is in place, do Mobile’s city government officials also know that their sister city is ignoring the unspeakable cruelty and brutal slaughter of tens of thousands of dogs and cats for human consumption? 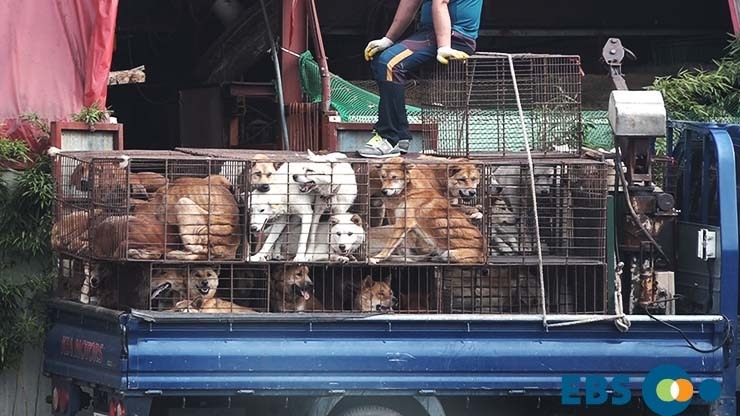 Let us ask the city of Mobile to put pressure on its sister city to banish this archaic practice and to remind them that there’s no place for animal cruelty in a progressive city like Pyeongtaek. It’s time for those in position in Mobile to speak up against its sister city’s abuse of companion animals and to demonstrate that this sister city relationship is not just guided by economic benefits but by moral responsibility as well. 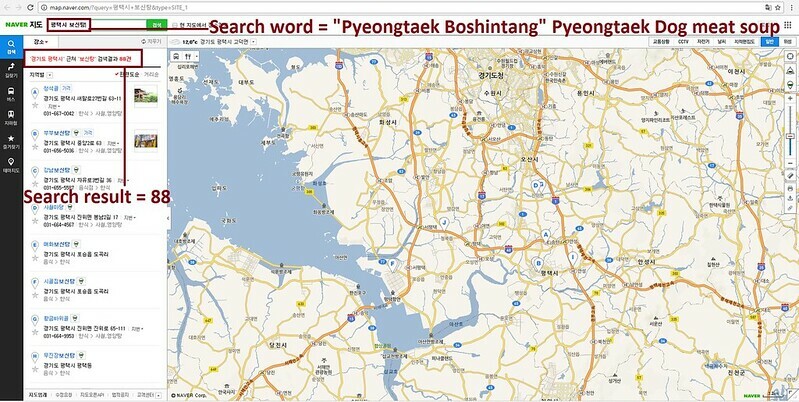 The searches resulted in: 173 Health Food Centers; and 88 restaurants in and around the city of Pyeongtaek alone. Even if half of these ‘Health’ Food Centers and restaurants serve dog and cat ‘ingredients’ in one form or another, just imagine how many dog/cat slaughterhouses must be present in and around Pyeongtaek in order to supply all of these outlets. Please sign petition, call and email Mobile Mayor Sandy Stimpson TODAY! Pyeongtaek is one of the largest dog meat consumption areas in South Korea. 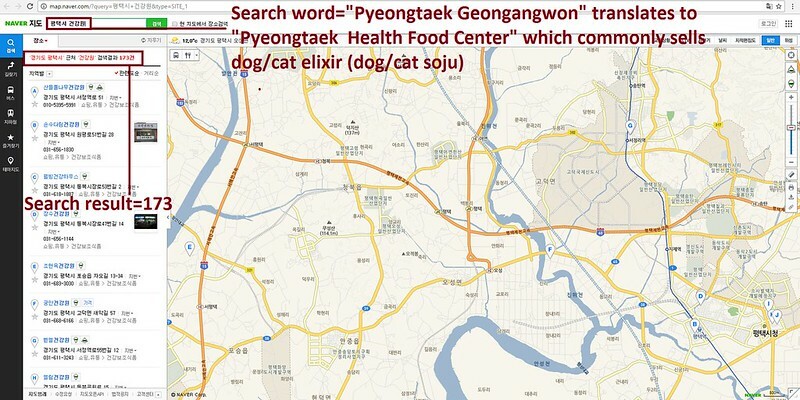 The Korean internet searches resulted in: 173 Health Food Centers which commonly sell dog/cat elixirs (also known as dog soju and cat soju); and 88 dog meat soup restaurants in and around the city of Pyeongtaek alone. No matter where you live PLEASE SHARE these actions with your friends – especially those who live in Mobile! This cruel has to be stopped!!! The world is watching, please stop this barbaric meat trade.